We’re living in an interesting era so far as entrepreneurship and the rise in the number of entrepreneurs is concerned. Entrepreneurs Look Like Richard Branson Right? Wrong! I love Sir Richard and he’s often been my inspiration, but in truth, there aren’t many business owners who look like Richard Branson. But when people think about an entrepreneur, they often think of people like Richard Branson because he has so many different enterprises. This traditional view of the entrepreneur being the serial enterprise builder is sadly still held by many universities boasting they have the best MBA programs. However, to me, what makes Richard Branson the entrepreneur is the charisma that he brings to his business. The fact that what you see is what you get. Inside work and outside of work, Sir Richard is one and the same person. He brings his voice and his personality to the marketplace. Not too many corporations can boast that their founder or CEO displays these characteristics. So Why Is Entrepreneurship Important To God? First of all, let’s set the record straight … before Jesus began His ministry at 33 years old, He was a carpenter … an entrepreneur. But I think it’s time we turned that thing around and understood that God has invited us into His business! And yes, whilst I’m 100% in agreement that we need to prosper where we’re planted, we must first understand what it means to be planted. When we first moved to our house, we spent so much money on plants because we had no idea that certain plants grew in acidic soil and some plants preferred a more alkaline environment. Each time the plants died, we’d go off to the garden centre and buy more, thinking we didn’t give the plants the right food, didn’t dig deep enough, they were in the shade etc. And then one day, my husband did the right thing … he went out and purchased a gardening book. How many of you are saying “duh!” right now? Yeah, you’re right, we should have done this first. By reading the books, we soon learnt that the the heathers we loved so much and just kept buying were being planted in the wrong soil. They love acidic soil and after testing the soil in our garden, we discovered we couldn’t get more alkaline! In fact, some of the plants were dying before we had a chance to plant them because the water we were using from the tap to keep the soil moist was alkaline. Bless those plants, they didn’t stand a chance to survive. Plant you in the wrong place and no matter how much training they give you, how big a salary, how many perks, your spirit will soon be broken and you’ll begin to die … spiritually, emotionally and mentally. 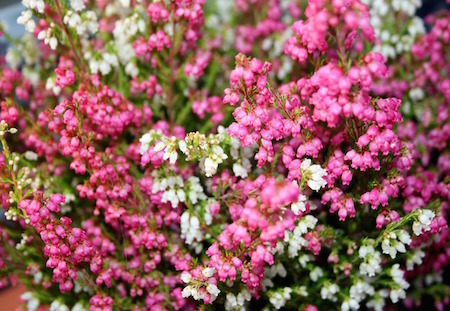 Our heather plants probably wanted to cry out to us, “wrong soil!” but they couldn’t. You however have an opportunity to ask God, “which soil?” And He will answer. And before you ask, “what about Joseph?” Joseph didn’t end up in Potiphar’s house by accident, the blessing took him there. Whilst God didn’t orchestrate his brother’s plot to kill him, God ensured that Joseph’s route was one that was going to lead him right where God wanted him. From his brother’s plan to save him from death at the hands of his other brothers by selling him to the Egyptians, to him being chosen by Potiphar, God was with him, so much so that even Potiphar recognised it. And again, you could ask, what about him ending up in prison? Again, God didn’t orchestrate this, but this is where Joseph learnt his leadership skills that would take him from the prison to the palace. And your business is God’s finished work for you to tend (cultivate) and guard. As an example, cultivate is what I do when I write my blog articles, create podcasts, videos and training programs etc. I’m using those resources to cultivate the Good News and every time I stand on my platform (speaking, writing, creating), I present the Good News in an attractive way. I’m influencing those who who don’t understand the Good News, or those who have been offended by church. When we see our business from that perspective, we will know and understand that the business God has called us into is the place where He designed for our gifts to flourish, where our potential is maximised and where we get to enjoy life and have fun, living out our purpose. Like Joseph, some people have been planted in a corporation, and there is nothing wrong with that. If God has orchestrated that this is the place you should be, you will flourish. And right place doesn’t always mean it’s the perfect place, but God will use this as your training ground. But don’t fall into the trap of “any job or any business will do.” It won’t! Pray and ask God where He wants to plant you for this season. And understand that He has much more for you than making lots of money. That’s good too, so I am not knocking it, but understand that the plans God has for both you and your business far exceeds any financial goals you have. The net result will be that not only will you not see lack, you’ll be more fulfilled than you could ever have imagined. In plain English, when we focus on “His will be done, in earth as in heaven,” every other blessing He has promised us, runs after us until they catch us up … and take over. That’s the overflowing we often read and talk about. And that reason is to do what Jesus did … demonstrate the Kingdom here on earth, by meeting people where they are at. Bring restoration of health, finances, happiness, love and reconciled relationships to every person, home, business and nation. And I believe we can achieve that through our business by being an influence and demonstrating the Kingdom of God without getting “religious” and hacking people off (just saying). But also by exercising God’s grace without compromising who we are or our beliefs. It’s difficult to do all of this inside a corporate setting, but with no CEO except God Himself, as entrepreneurs, we can do church outside of church walls. Now Luke 14: 23 becomes a reality … us going into the highways and hedges and compelling (or influencing) them – through demonstration of what the Kingdom looks like – to come in. Not into our church, but into the Body of Christ. And this is why I personally believe entrepreneurship is important to God. As entrepreneurs, we are the church outside of church to those who may never darken a church door. Previous Post Why Female Entrepreneurs Should Ignore The Media Next Post How Do I Start Blogging?